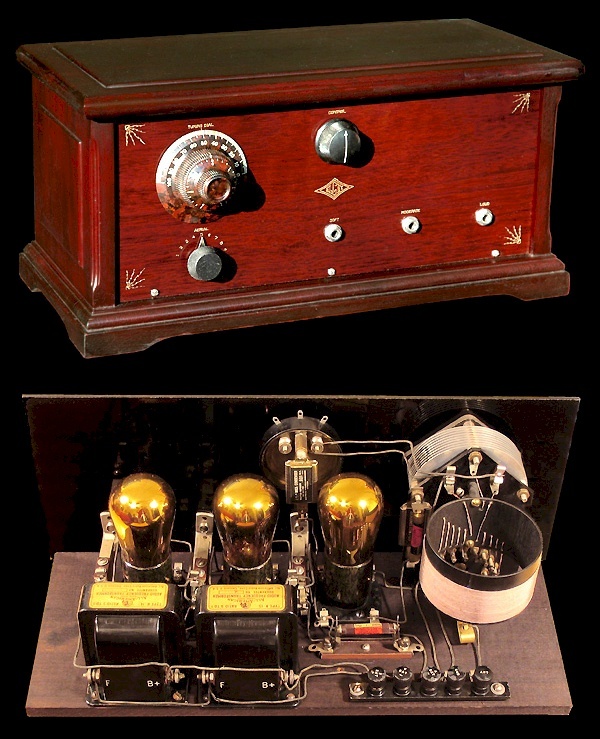 This radio was originally sold in kit form (knockdown) and required no soldering in its construction. All of the components feature clip connectors for easy wiring into the circuit. I acquired this Elgin in November of 2005 from fellow collector Ed Bell after his eBay auction for this set didn't meet its reserve.